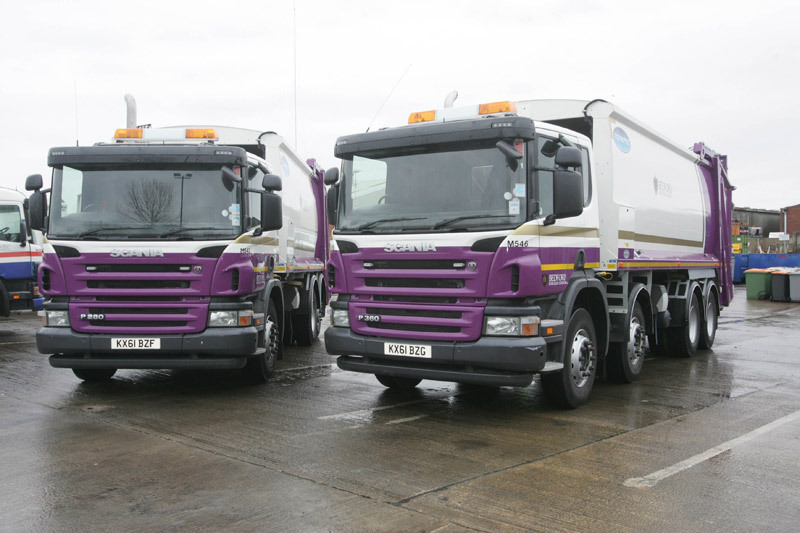 Bedford Borough Council is engaging the services of vehicle contract hire and fleet management experts, Specialist Fleet Services (SFS) to supply and maintain a new fleet of Refuse Collection Vehicles (RCV’s), operating alongside the authority’s existing in-house fleet. The four new vehicles will be used to collect both trade and domestic waste, and comprise: 2 x Scania (6x4) chassis/Heil Powerlink 21 cubic metre bodies with Heil Universal trade lifts; 1x Scania (6x2) chassis with Dennis Olympus 21 wide body with Terberg OmniDEL Xtra Bin lift; and 1 Scania (8x4) chassis with Dennis Olympus 27 wide body with Terberg OmniDEL Xtra Bin Lift. All the vehicles have been fitted with Vehicle Weighing Systems Load Cells, the latest LED lighting package, front directional beacons and a rear view camera monitor. A member of the Rothschild Banking Group, SFS provides contract hire and fleet management services to local authorities and the private sector. The SFS team are experts in all aspects of vehicle and fleet provision including contract hire and lease arrangements, maintenance, workshop management, compliance and testing, service scheduling, support and technical advice, accident management, breakdown support, TUPE transfers, staff training and vehicle disposal. SFS also runs a network of workshops on behalf of local authorities, and an in-house facility to keep its own hire fleet and customers’ vehicles running smoothly.